Amidst the chaos of wartime London, criminals hunted their prey without fear of reprisal. Many operated under the cover of darkness, emerging when the city sank into the oblivion of its nightly blackout; others simply struck whenever opportunity presented itself. At a time when Londoners were pulling together in the face of terrible adversity, there were an increasing number of looters, racketeers, terrorists, criminal gangs, prostitutes, rapists, and murderers stalking the bomb-ravaged, panic-ridden streets, and this book chronicles the rapid rise of crime throughout this turbulent period. The deprivations of war forced many onto the wrong side of the law, stretching the resources of London's Metropolitan Police Department to the limit. 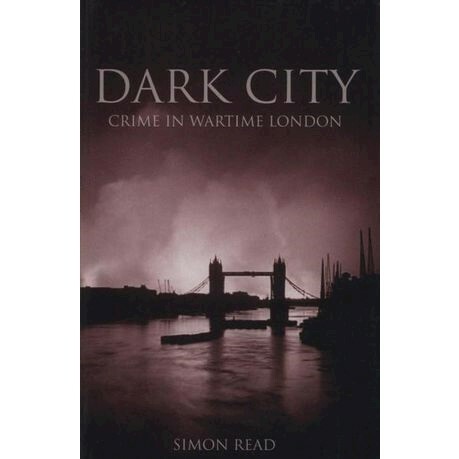 Air raids and the dangers of patrolling London in the dark cost the police more than one hundred men during World War 2. Petrol rationing and mandatory radio silence placed limits on the department's mobility and communications.